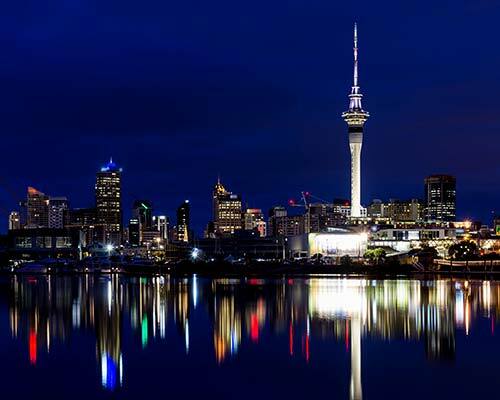 New Zealand is known for its spectacular beauty. 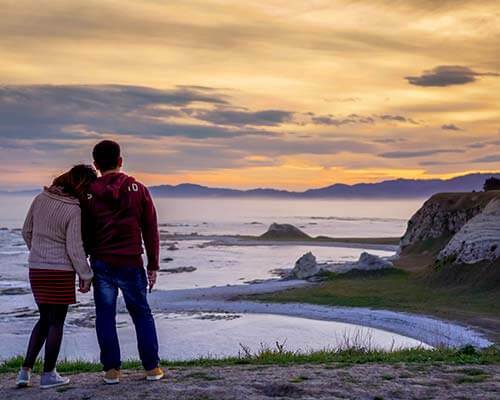 Abundant natural beauty makes this country one of the most picturesque places in the world. Here, you will find the shore line, the lakes, the countryside, and the national parks to be some of the richest places when it comes to flourishing flora and fauna. 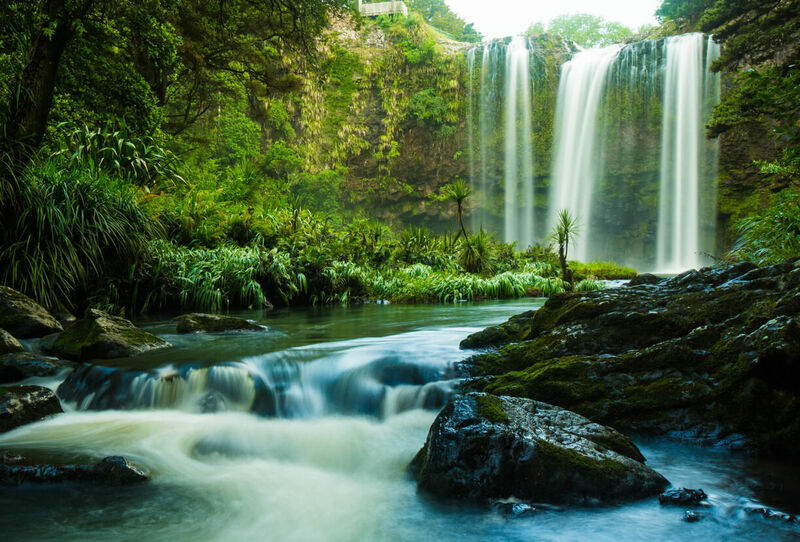 Adding to these lovely sites are the waterfalls of New Zealand. While most of them are seasonal, there are some permanent too, which can be visited at any time of the year! Take a look at the top cascades of the country, from the majestically tall to short fun ones, trickling wonders to gushing beauties, and more! New Zealand is a filled with natural wonders and one of the most breathtaking wonder that nature has created is the waterfalls. And while you’re in NZ, you must pay a visit to some of its waterfalls. 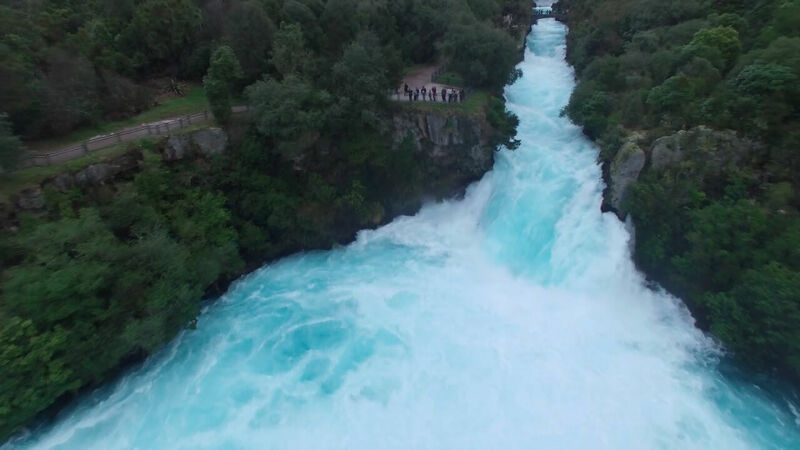 At a height of 11 meters, Huka Falls claims to be the best waterfall of New Zealand. 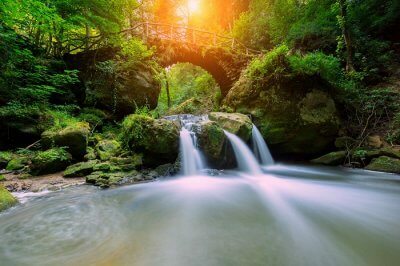 Like a picture out of a fairy-tale, this cascade is stunning picture, surrounded by lush wilderness, and with the bright turquoise waters rushing towards the earth. Some of the activities that you can enjoy here include boating, hiking, biking, and photographing. 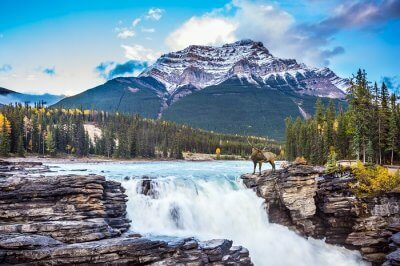 Plunging from a height of 55 meters, Bridal Veil Falls sets between banks covered with soft sandstones and other rocks. The falls also offer a track for hiking, and is accessible by wheelchair too. Nestled deep into beech woods, Devil’s Punchbowl Falls is a cascade that falls from a height of 131 metres. 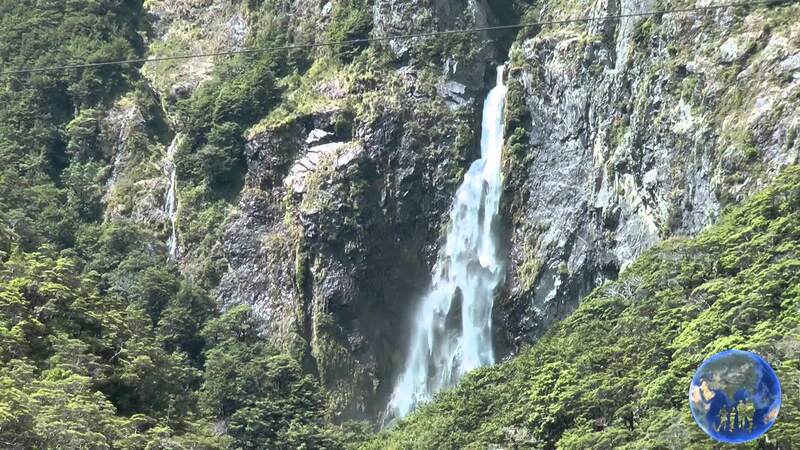 Claiming to be one of the best sort walks in New Zealand, it is quite an experience walking along this waterfall. 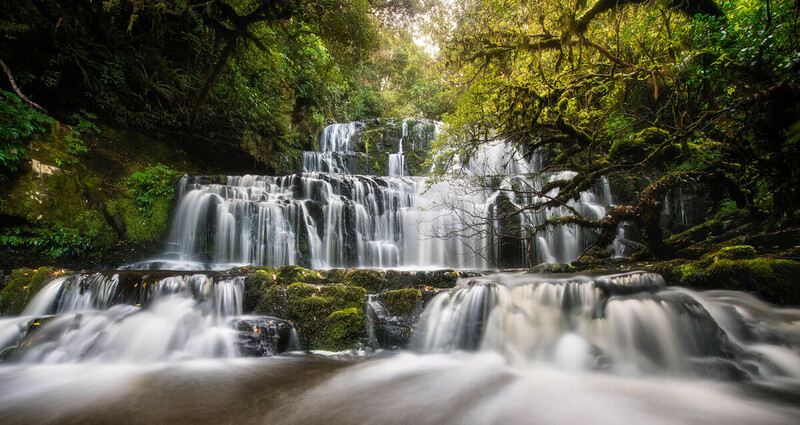 One of the most beautiful three tier cascades in New Zealand, Purakaunui Falls are popular for being on the face of New Zealand’s travel postcards. 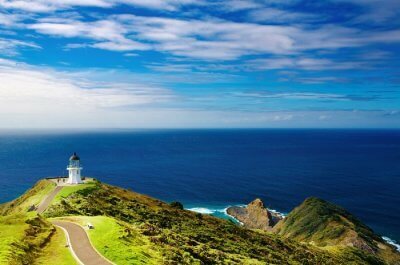 It is located along the Southern Scenic Route which is frequented by tourists. Another multi levelled waterfall, this one too has three levels. 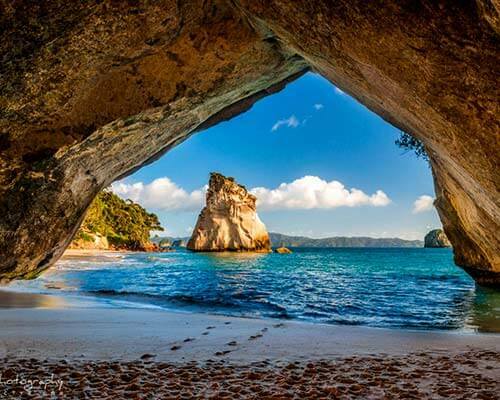 Kitekite Falls is located near Auckland which makes it popular amongst tourists. There is a small pool at the top of the first tier from which water flows down into the larger pool. It is a lovely place to sit and contemplate. A large spout of water jutting out from the mountains, Thunder Creek Falls is named aptly. It is a gem hidden in the glacial beauty of the country. 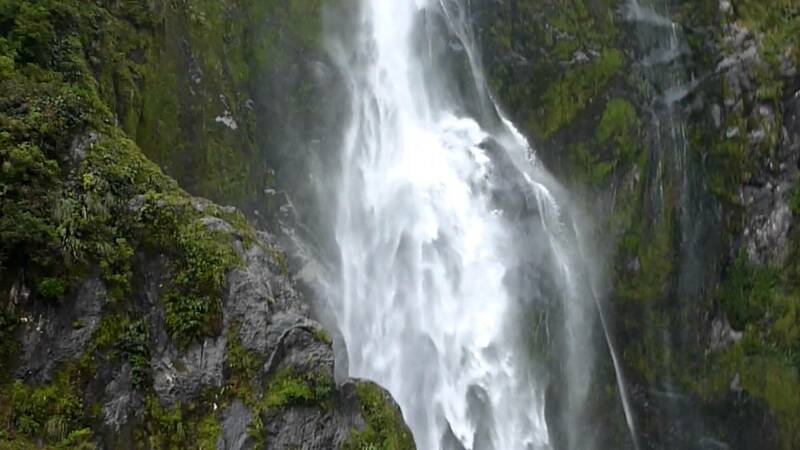 Located at a height of 96 meters, it often makes to the list of must visit waterfalls in New Zealand. 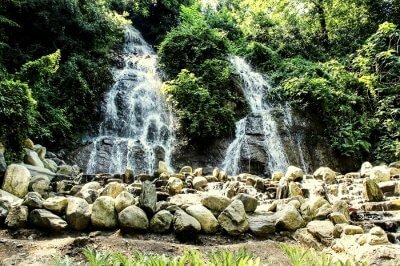 A remarkable addition to the country’s collection of cascades, Marokopa Falls is like a treat after an easy task. 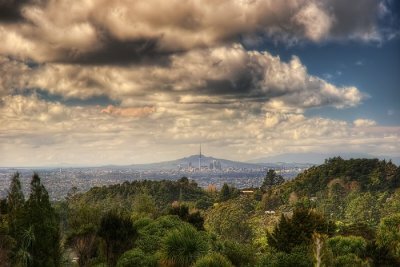 A quiet peaceful walk leads to this wondrous view, which is definitely worth a few clicks. There are a few caves that you can explore here. Frequented by artists and photographers, you can head here for a day picnic too! 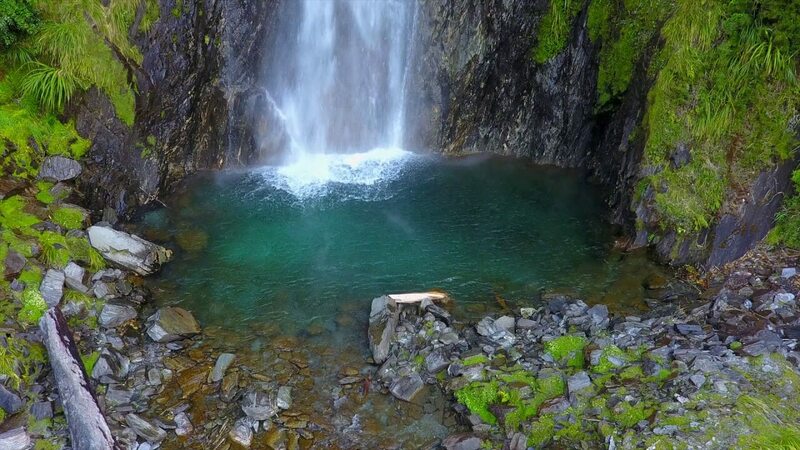 Splashing into the famous Milford Sound, Stirling Falls lands into the lovely pool from a height of 155 meters. 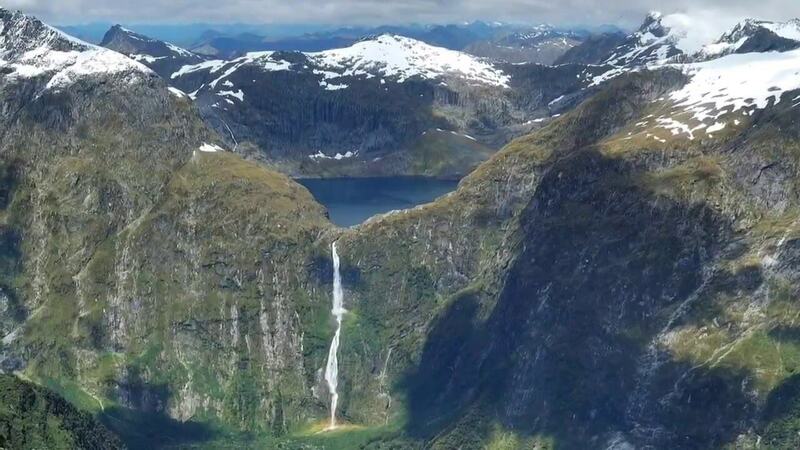 A cruise goes along this fiord which makes the view of the waterfall even more spectacular. There are few permanent waterfalls and this one is one of them! One that held the reputation of being the tallest waterfall in New Zealand for a long time, Sutherland Falls still carries that aura with grace. From Lake Quill, at 580 metres tall, this cascade thunders through the crevices of the rocky cliffs into a bright blue pool! A perfect match to the mesmerising scene from The Hobbit, the Tawhai Falls make a beautiful picture to capture. 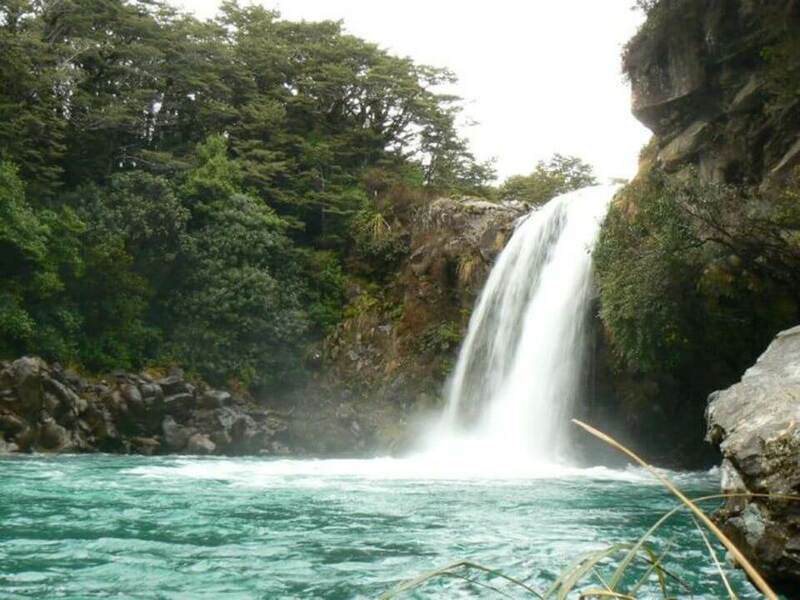 The waterfall is located in the Tongariro National Park, and the path leading up to it makes for a great run. So, head here in the morning to catch the sun sparkling in the blue waters. 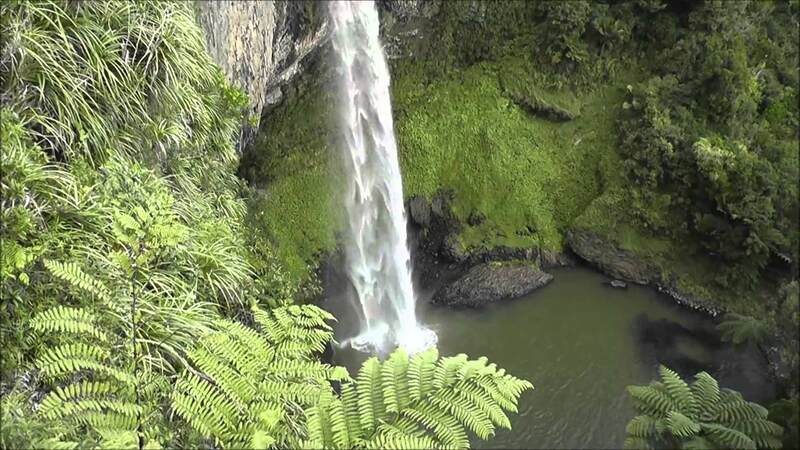 A waterfall of New Zealand which is blessed with the best of flora, Mclean Falls has a winding path surrounded by many types of shrubs and plants. 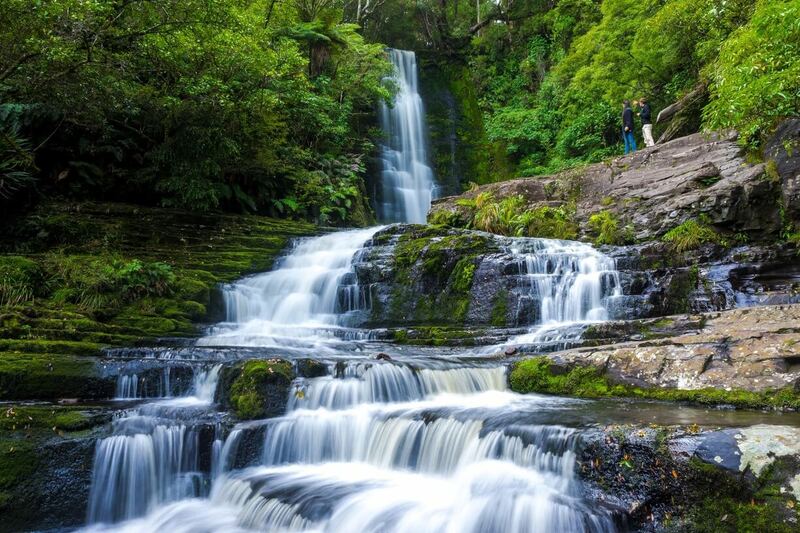 Set deep in the Catlins Forest Park, this waterfall adds a little bit of glamour to the Tautuku River. 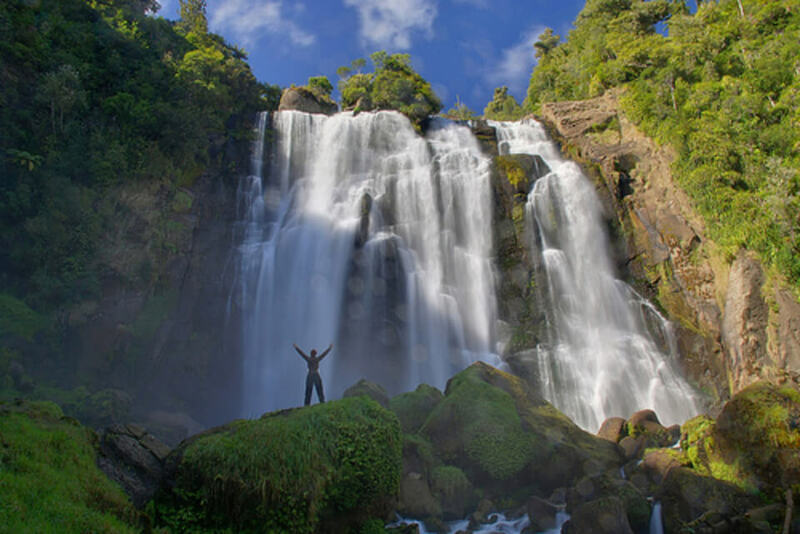 Wairere Falls are famous for being the tallest waterfall in North Island, at the height of 153 metres. 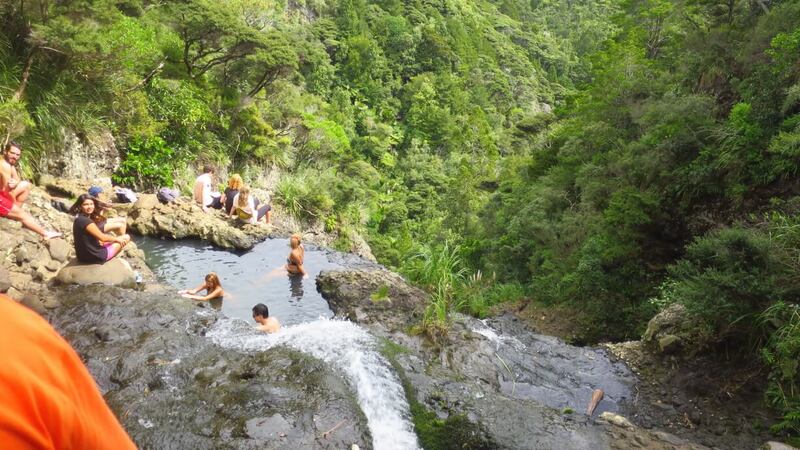 Set on the Kaimai Ranges, this two-tiered beauty is the best for a tiring, yet rejuvenating hike. 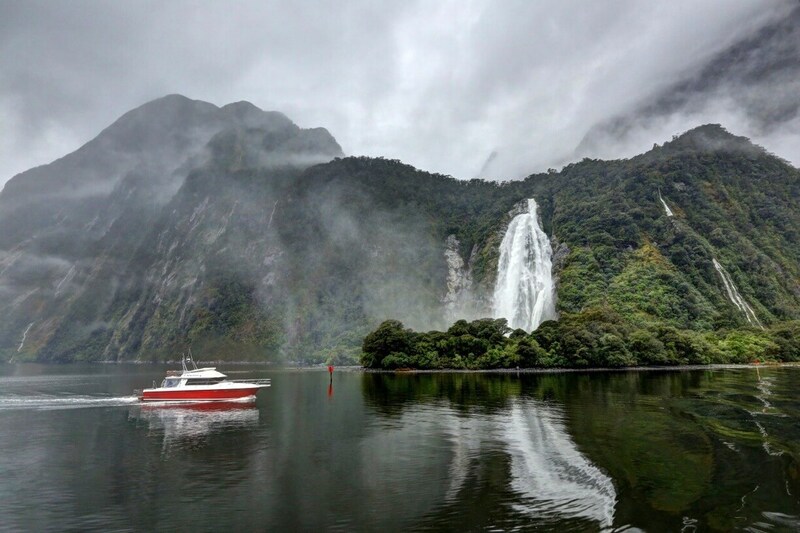 A misty thundering fall in the Milford Sound, Bowen Falls takes a boat ride and a short hike to give you the ultimate beauty. At 162 meters, it may not be the tallest, but it is truly splendid to observe. Mitre Peak is visible from this spot too. 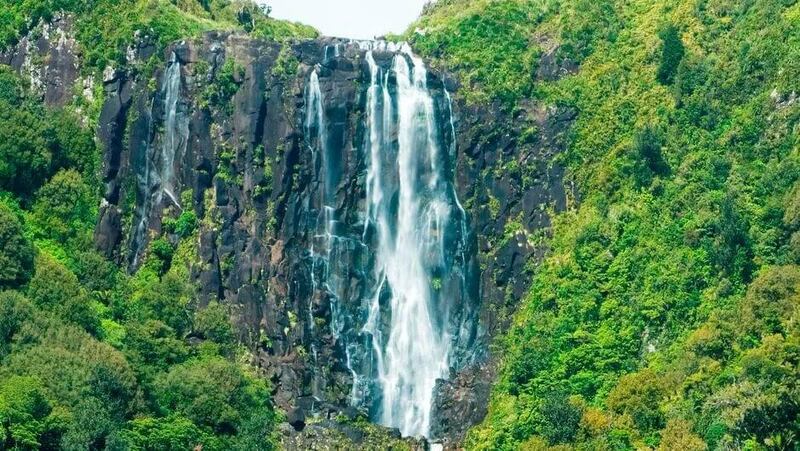 A 26-meter fall, Whangarei Falls is stunning to say the least. The cascade falls across a cliff into a large pool of aqua-green water. The ferns, shrubs and other plants on the banks makes it quite a beautiful picture to view! 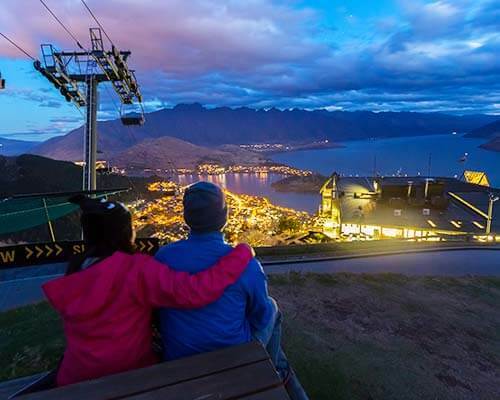 Suggested Read: From Budget To Luxury, A Look At 25 Best Hotels In Queenstown New Zealand! With a height of just 5 meters, the Rere Falls are famous for their spectacular breadth, which is almost 20 meters. The blanket of water flows at a steady pace, making the most wonderful flowing sound. The banks can be quite slippery, but the path leading up to it is safe, and fun! If you are on an adventure of waterfall hunting in New Zealand, this list will do you good! 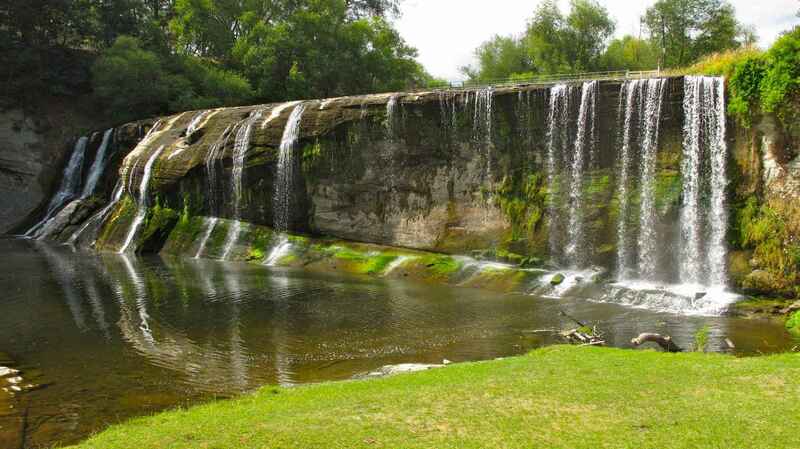 And apart from the above-mentioned wonderful sites, there are some more cascades worth a visit. Some of them are Rere Rockslide, Mt. Damper Falls, Humboldt Falls, Owharoa Falls, and Taranaki Falls. 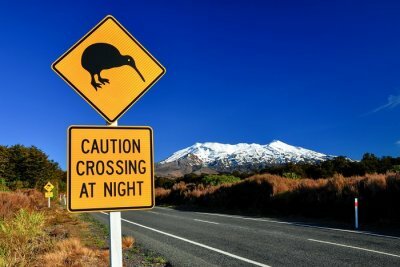 Head to any of these with a picnic basket, or trek away early in the morning to make the most of this adventure in New Zealand. 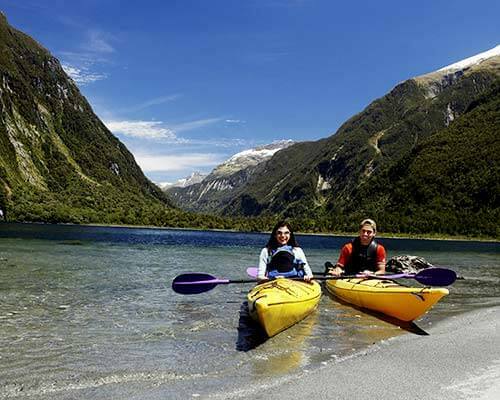 Further Read: Australia Vs New Zealand For Honeymoon: Compare And Pick Your Favorite!